Golden Years is always looking for hardworking and talented individuals that love seniors. We value skills and experience, but put an even higher premium on integrity, dependability, teamwork, and a willingness to serve. As a part of the Golden Years team, you’ll enjoy the benefits of working for a family oriented company, while truly making a difference in the lives of our residents and their families. We are aware that our greatest asset is a loyal and dedicated employee. Accordingly we strive to provide the best possible working conditions, equitable treatment, and equal opportunity for all employees. We offer competitive pay and benefit programs including health and dental insurance, life insurance, 401(k) retirement plan, paid time off, holiday pay, tuition reimbursement, in-service training, uniform allowance, and more. If you’re interested in serving with us, please browse the open positions and either apply online or stop in to drop off your resume and fill out an application. If you would like to print an application prior to coming in, a printable application is also available below. If you’re not sure, click to find out more about what it would mean to join us. Full-time social services position at our brand new Lake Geneva facility. As a key part of the interdisciplinary team, the social worker assists with admissions and discharges, documentation like care plans and assessments, and ensures the emotional and social needs of the residents are met throughout their time at the Golden Years. The social worker also works closely with the residents, families, and medical professionals to ensure they have a smooth transition and positive overall experience. The social worker position is eligible for full benefits including health insurance, dental insurance, 401k, paid time off and more. Qualified candidates must have an active Wisconsin social work license. Stop in Monday-Friday to complete an application or print one here or apply online. Part time certified nursing assistant position available for Night shift at our brand new Lake Geneva campus. Responsibilities include assisting residents with personal care needs under the direction of a charge nurse. Qualified candidates must have a valid Wisconsin CNA license. Great staff-to-resident ratios, no mandated overtime, and flexible scheduling! Full time certified nursing assistant position available on the day shift at our 24-bed skilled nursing Walworth campus. Part-time PM shift positions available as well. 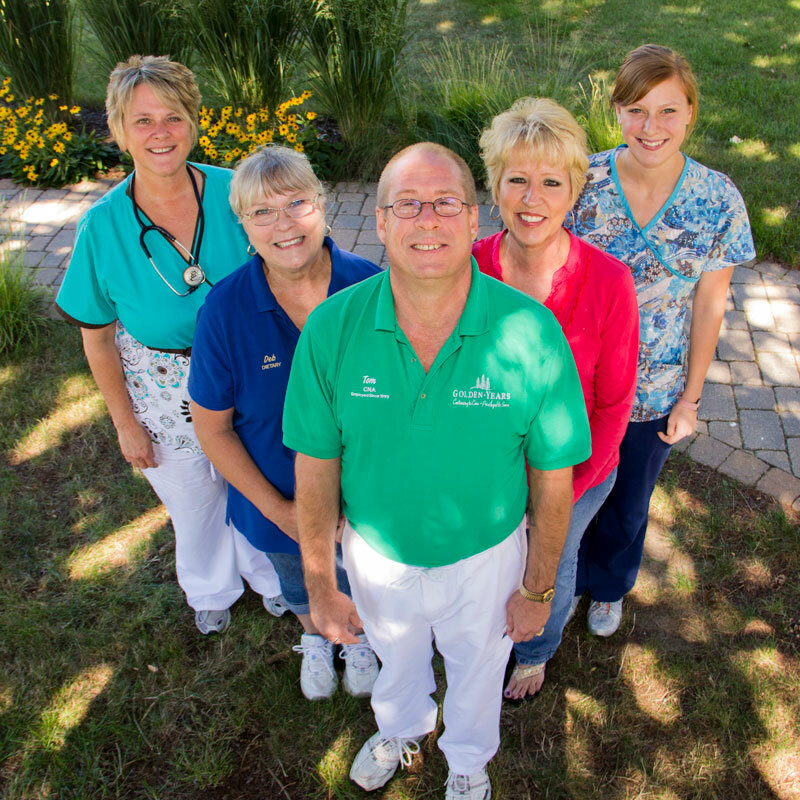 Responsibilities include assisting residents with personal care needs under the direction of a charge nurse. Great staff-to-resident ratios, no mandated overtime, and flexible scheduling. Qualified candidates must have a valid Wisconsin CNA license. Full-time positions are eligible for full benefits including health insurance, dental insurance, 401k, paid time off and more. Part time dietary kitchen aide assistant position at our brand new Lake Geneva campus. Responsibilities include preparing for meals (basic food prep, setting tables, pouring drinks etc. ), serving meals, and clean up after meals (wiping tables, mopping floors, washing dishes, etc.). PM shifts hours available from 3:45pm to approximately 7:00pm. Weekend shifts as part of a rotation. Part-time PM cook position at our brand new Lake Geneva facility. Shift is from 3:00pm to approximately 7pm. Responsibilities include light basic cooking, serving, and clean up after meals in addition to overseeing and working with a dietary aide. Some weekend hours as part of a rotation. Additional hours may be available if willing to cross train for other positions.